North Carolina companies who issue installment loans around the state are once again lobbying to raise their interest rates and additional fees. These companies originate over 400,000 loans each year in the Tar Heel state, making it an already lucrative business. So, how could this proposed legislation, officially known as Senate Bill 489, affect your installment loan and overall financial situation? First, let’s define an installment loan…what it is and what it isn’t. Installment loans are a type of loan that is repaid over a structured amount of time. That means you have a set number of scheduled (usually monthly) payments. The length of your term may be a short as three months or as long as 20-years. A mortgage loan, for example, is a type of installment loan. The actual term “installment loan” generally refers to old fashioned consumer loans. These are normally written and provided within a brick and mortar store. You repay the lender over time and agree to pay a certain amount of interest and principal on the loans. It’s critical to understand that installment loans are not payday or title loans. They are actually considered somewhat safe for consumers and definitely better alternatives to either of the loans mentioned above. Installment loans are not like a credit card cash advance either, as credit card advances are considered to be a type of open-ended credit. So, now that you understand what installment loans are, let’s look at the proposed increases loan companies are lobbying so hard to pass. 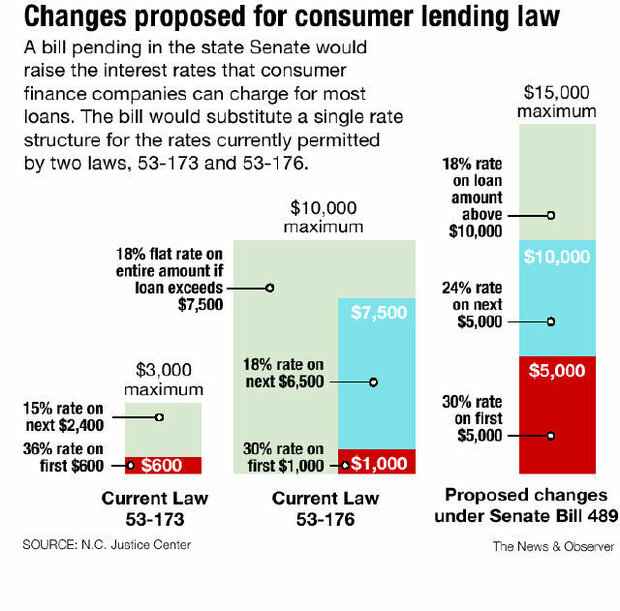 In 2011, loan companies in North Carolina lobbied to pass similar legislation and increase the borrowing costs for their customers. After much debate and public opposition, the proposal was finally shot down and shelved by the NC government. Now we find that in 2013, the same lobbying has begun anew. According to industry experts, if the installment loan companies get their legislation passed, interest rates and additional fees would end up costing hard working North Carolina families at least $50 to $70 million each year. That’s a lot of money to loan companies, especially considering that families who take out installment loans are economically stretched already. In North Carolina, lenders can charge a maximum interest rate of 30 percent, but only on the first $1,000 of the loan’s balance. After that, the interest rate must drop to 18 percent on the rest of the balance. Now, if Senate Bill 489 were to pass, that 30 percent interest rate could be charged on the first $5,000 of the balance. Loan companies could also choose to increase interest rates on loans that are more than $15,000. Quite a difference, huh? Without a doubt, general reaction to this proposed legislation is negative. 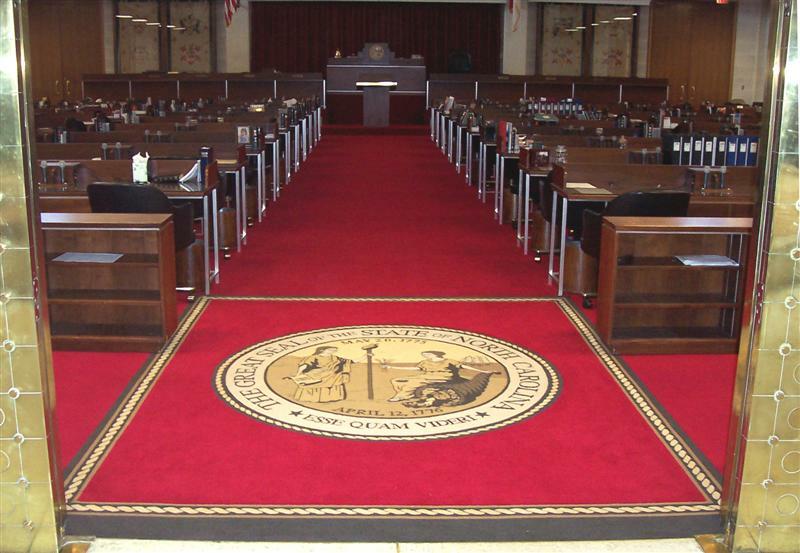 For example, representatives from the North Carolina Justice Center Consumer and Housing Project have been very vocal in their opposition to the rate increase. And if you think that all those installment loan companies around North Carolina are locally owned and operated by NC families who are just trying to make a living…think again. In fact, 70 percent of the installment loan market in North Carolina is dominated by large out-of-state lending companies. That means that the vast majority of the money made from these installment loans would never stay in the state. The overall danger to these installment loans is getting trapped in a cycle of renewing the loan over and over again. To make matters even worse, there are a multitude of former installment loan employees who say supervisors instructed them to avoid letting customers pay off loans and to push each customer to renew instead. The proposed legislation of Senate Bill 489 is, without a doubt, designed to take more money out of your pocket in the end and lock you into financial turmoil. 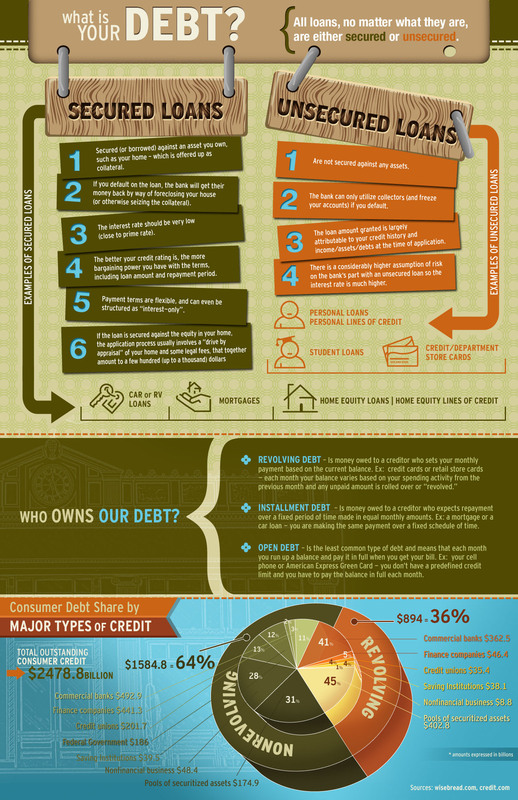 If you are struggling with debt, taking out an expensive loan could end up making things worse. Try speaking to an experienced NC bankruptcy attorney. Find out if filing a Chapter 7 or Chapter 13 bankruptcy would be a better solution. Dedicated to helping residents of North Carolina find the best solutions to their debt problems. Don’t waste another day worrying about your debt. Call 1-888-234-4181 today to schedule a free initial consultation to discuss your bankruptcy options.